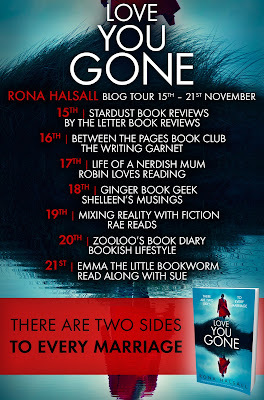 Today is my day for the Blog Tour for Love You Gone by Rona Halsall. 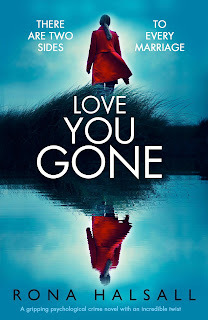 An absolutely incredible, page-turning psychological thriller with a twist you won’t see coming, for fans of Gone Girl and Behind Closed Doors and Ruth Ware. Mel has a very serious issue. She is going to a holiday escape with her husband, Luke, and their children with the primary purpose of trying to restore some happiness in her family. But she is greatly disturbed. When she gets there the cottage is empty. They went ahead of her because she was detained by work. She is very concerned but she notices that the car is in the driveway and there is a note saying that they went for a walk. She does what she can to relax. At the very least she can start a fire so that the cottage will be comfortable when the family gets home. But after several hours she has no choice but to call the police and even mountain rescue to try and locate her family. After talking to the police she feels that they will be found relatively soon. However, the police turned up nothing. So they continue going back-and-forth speaking to Mel to try to find out what information they can. Mel starts filling them in on certain details bit by bit making them rather curious about what really is going on. Meanwhile another perspective is introduced into the story and it is done from the past working its way to the present. The reader, and definitely the police, begins to see that things were not as they seem in the marriage. There were problems, very deep problems. The story turns from an intense psychological thriller into a very dramatic family drama. There are circumstances that Mel and Luke are dealing with that are very traumatic, so much so that things begin to make sense. I was on the edge of my seat while reading the story. Not only did I want the family to be safe, I wanted resolution for the problems that Mel and Luke were dealing with in the marriage. Especially since there were two children that were very much affected by everything that was happening. This was an incredible story written very well. There is drama, as well as secrets and an incredible family dynamic. This riveting story completed itself with a surprising conclusion. 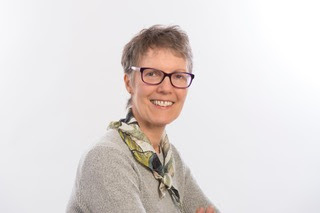 To find out more about Rona's novels, go to www.facebook.com/RonaHalsallAuthor or follow @RonaHalsallAuth on Twitter. Sounds like one I would enjoy. Thanks for sharing. Sounds like a great read adding to my tbr, great review. I love your thriller selections - you are killing my TBR! Sounds intense! Glad you liked it! This sounds like a great read! Glad you enjoyed it. This has gone straight onto my TBR. 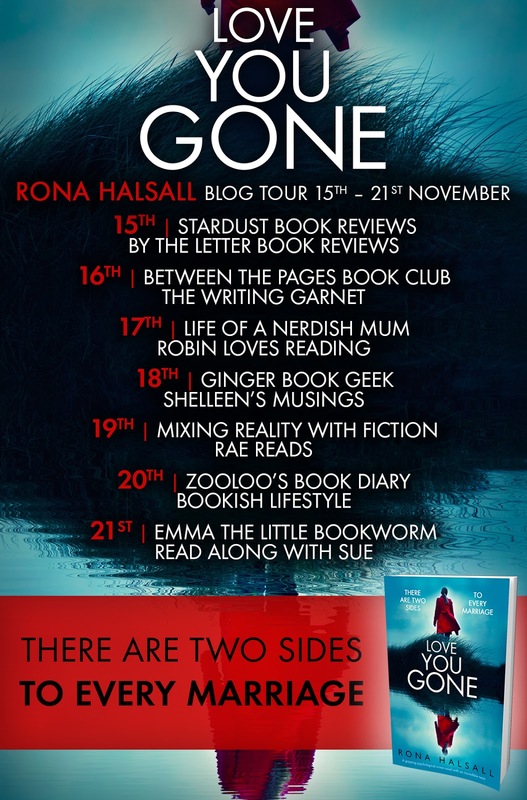 I'll add to my tbr, great review. Thanks! This seems like a very intense book. I may have to try it. The idea sounds really good I'm just not sure about the two timelines. I prefer a book to move forward in time not back and forth so don't know whether I'd like the book. Great review.